Smart city projects address many of the current problems afflicting high populated areas and cities and, as such, are a target for government, institutions and private organizations that plan to explore its foreseen advantages. In technical terms, smart city projects present a complex set of requirements including a large number users with highly different and heterogeneous requirements. In this scenario, this paper proposes and analyses the impact and perspectives on adopting software-defined networking and artificial intelligence as innovative approaches for smart city project development and deployment. Big data is also considered as an inherent elemento of most smart city project that must be tackled. A framework layered view is proposed with a discussion about software-define networking and machine learning impacts on innovation followed by a use case that demonstrates the potential benefits of cognitive learning for smart cities. It is argued that the complexity of smart city projects do require new in ovative approaches that potentially result in more efficient and intelligent systems. S. B. MARTINS, Joberto. Towards Smart City Innovation. 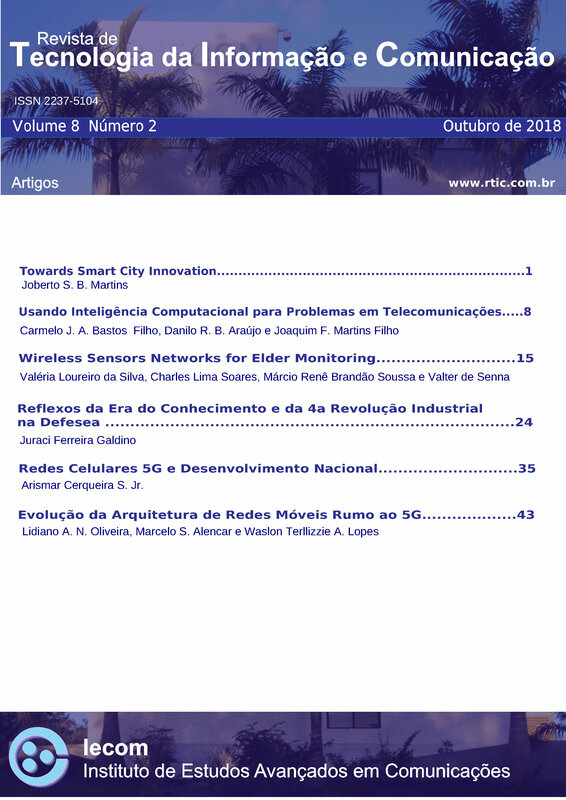 Revista de Tecnologia da Informação e Comunicação, [S.l. ], v. 8, n. 2, p. 1-7, out. 2018. ISSN 2237-5104. Disponível em: <http://rtic.com.br/index.php/rtic/article/view/99>. Acesso em: 26 abr. 2019.